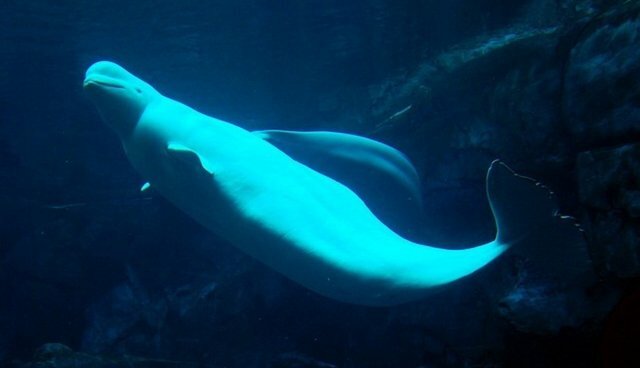 The staff of the Vancouver Aquarium has been embroiled in talks about what to do with its captive cetaceans this week. While the aquarium is now home to two beluga whales and two Pacific white-sided dolphins, the facility has been openly discussing its history with captive cetaceans -- including orca whales. While in talks about the facility's most recently held orca whale, a female named Bjossa, the aquarium's CEO John Nightingale took the opportunity to compare trading the animal to trading NHL great Wayne Gretzky. The fact that Wayne Gretzky could walk off the hockey rink when he pleased, while a captive whale could never do the same in a tank, was surely not lost on the audience. Nightingale also explained that when Bjossa's male partner died, the staff scoured other parks to to buy another one. The aquarium did eventually trade Bjossa to SeaWorld, where she died in 2001 at the age of 25 (see this post for more information about orca whale life expectancies in the wild and in captivity). The board has allowed others to weigh in on the issue -- though half were employees of the facility, according to CBC's Richard Zussman.